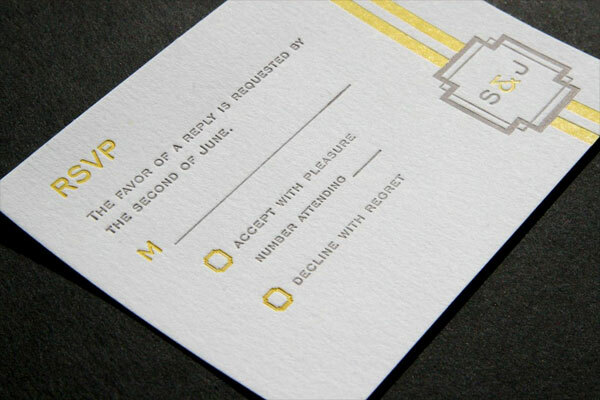 Today I’m totally crushing on the lovely new Lauren letterpress wedding invitation suite from Joie Studio / Luxe Letterpress. 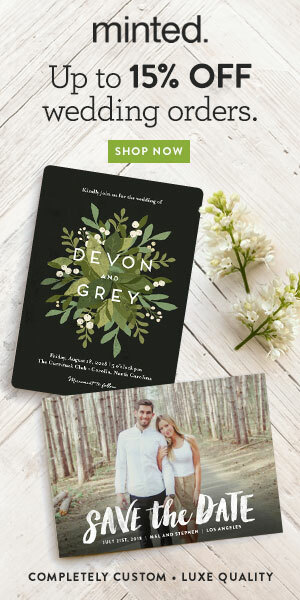 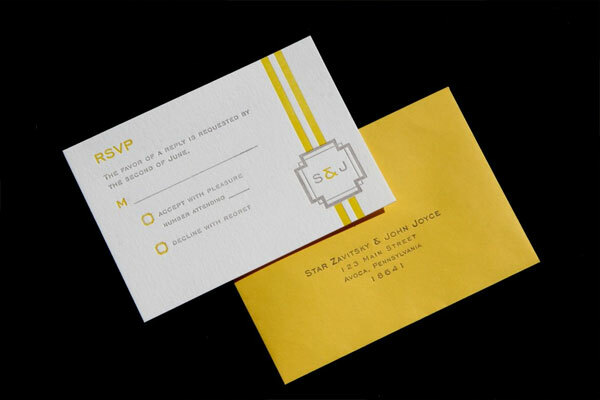 The lemon yellow and dove grey color palette is absolutely gorgeous, as is the timeless style of the design. 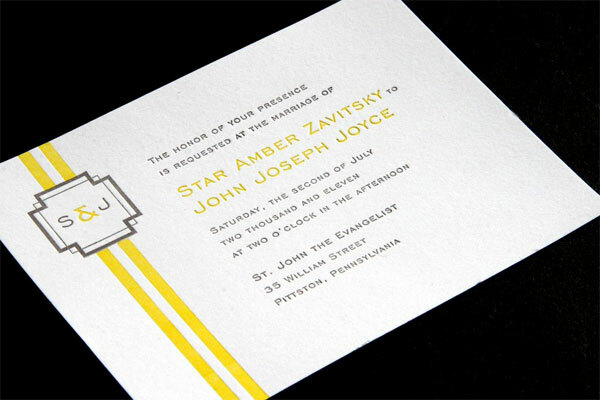 And the initial emblem that embellishes the pieces in the suite has a bit of an Art Deco vibe, which I’m really digging. 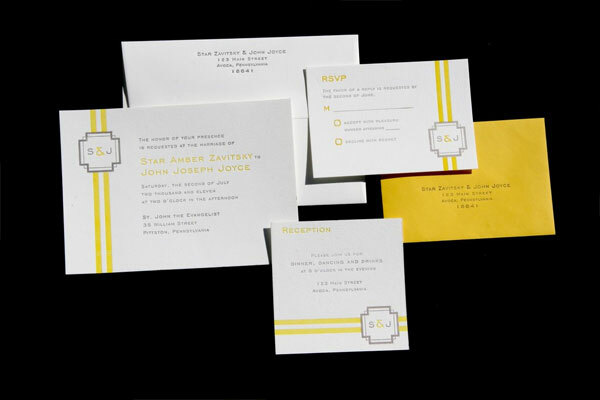 The Lauren suite is part of Joie’s Couture Collection and is letterpress printed on 100% thick cotton – reclaimed, tree-free, eco-friendly – cardstock.